Duratec Security Solutions becomes member of Checkatrade. We’re delighted to announce that we have been accepted to be part of the Checkatrade.com website – the directory of recommended and trusted tradesman – and would like to thank all our customers who have helped us achieve this. To be included, we have undergone a strict vetting procedure and have been monitored to ensure we meet the required standards of trading. Checkatrade is a free online search engine for consumers that offers a directory of trades and services in one place. By using the Checkatrade website, customers who are looking for reputable and reliable tradesmen in a specific area can be assured they will find high quality tradesman in one place in order to complete their projects. Customers also have the opportunity to view a full list of qualifications and insurance details without having to enquire. All businesses on the site are continuously monitored to a strict standard by Checkatrade, as they gather feedback directly from consumers on the completion of all projects. This ensures that all feedback posted is honest and reliable. 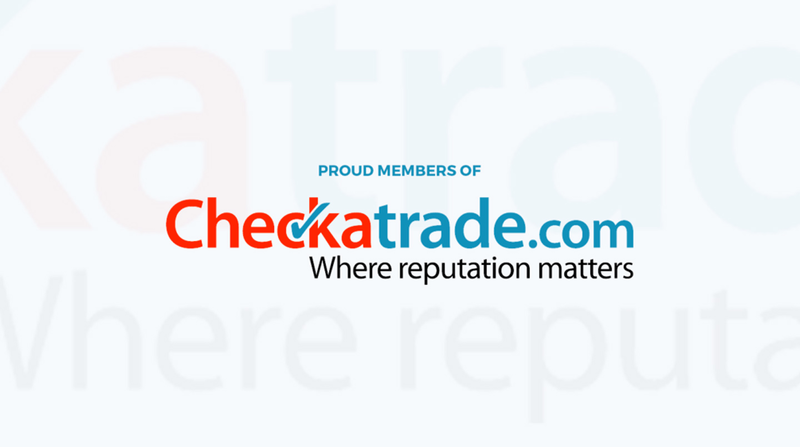 We are very proud to have 100 % transparency and we strongly believe in all of the statements mentioned within the Checkatrade standard: http://www.checkatrade.com/Consumer/CheckatradeStandard.aspx and are happy we have found a site that cares about its customers as much as we do. We hope this news will bring us closer together with our customers and allow us to show you how important your project and feedback is to us.